Lately my eyes have been tearing up over the simplest things. Like the photo of my cousin’s daughter, Veronica, who was just inducted into the Junior National Honor Society. She is so young, and lovely, and smart – with a future full of promise ahead of her. On the plane ride to California, I finished the book A Man Called Ove to heaving sobs, snot and the quizzical looks of surrounding seatmates. On the flight home, once again Mark handed me tissues as I whimpered and cried off my makeup through the movie Wonder. As I pondered the word ACCEPTANCE these past two weeks, the common denominator in all of my recent tenderness relates to accepting the fragility; the fleeting and temporal nature of life. Does this happen to everyone when they hit a certain age? Still, time IS marching on. We all have an expiration date unknown to us, but its reality beckons us to make the most of right now. By the way, the film Wonder features this scene, making it a double-whammy emotional gut punch. Could my tenderness relate to the landmarks of time? This very week would have marked my 15th anniversary. Instead, in another month I will mark one year since my marriage ended. I accept the passage of time and that creating a new version of happily-ever-after is up to me. As I embrace this tender truth, I find myself looking at people directly in their eyes to make a true connection. Calling people and having long-overdue, hour-long conversations. 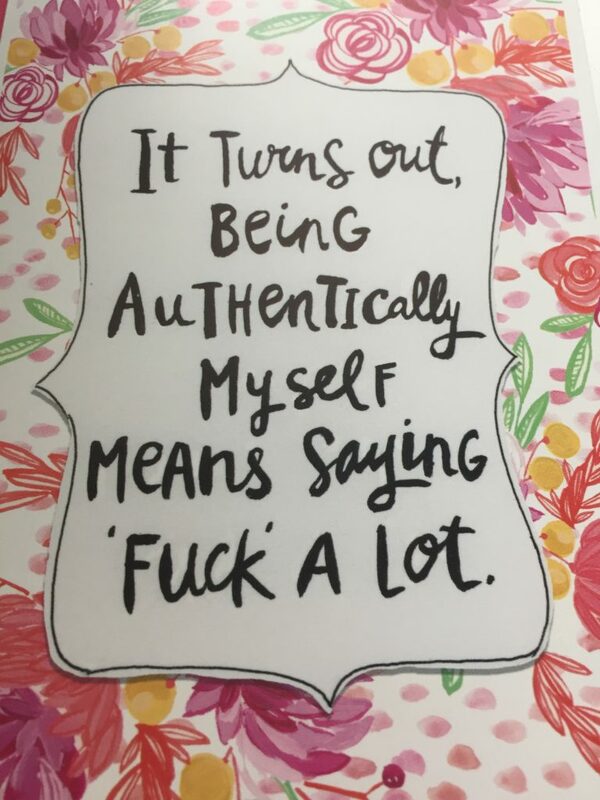 Buying Hallmark cards in bulk to let the people I love know that I deeply love them. For in the final analysis, what will matter? 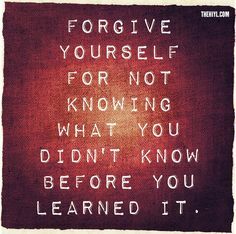 My answer: How much did I learn, and how much did I love. “…detach the fetters of faults that bind us, like we let go the guilt of others. Let us not be lost in superficial things, but let us be freed from that which keeps us off our true purpose. “Let us not be lost in superficial things” massages my heart. Uncanny! In the same week, the gift that makes me feel alive to use, both rejected and applauded. A contest? Superficial. Impacting a person’s life for good? Deep. It first hurt, then helped to realize that perhaps my dream of a championship remained rooted in the last vestiges of low self-esteem and ego. Accepting that my real dream is to encourage hearts and open eyes offers a new level of freedom and fun that I am just beginning to enjoy. Though shockingly middle-aged, I feel like a kid just starting out. I see life through new eyes; accepting the past and ready to embrace an unknown future, but with a daily intent to love the bejeezus out of everything and everyone I encounter. Ah, and of course, after I recorded I was reminded of the scripture: Faith works by LOVE. Not by striving, obsessing, hard work or good intentions. May we each FLOW in FAITH as we grow in love this week. And are any of you feeling the passage of time and tenderness attached to it as I am these days? I’d love to hear from you. Did you ever want to run away and just be alone? It’s no one’s fault (although I sometimes try to place blame), but every now and again I have this urge to pack a bag, disappear, and not be heard from for about a month. In my fantasies, my place of escape is a little apartment over top of a restaurant or other storefront above the cobbled streets of Sorrento, Italy. No one would know me and I could do my favorite thing – wander – with no expectations or obligations to fulfill. Deadlines, be gone! Projects, phooey! Imagine the thrill of no guilt for falling short, running late; no need to procrastinate and no one clamoring for my attention. Aaaaahhh, the beautiful respite of PEACE (our Word of the Week) and quiet. I do like my own company. And I don’t usually annoy myself. There’s a reason why those old “Calgon, take me away…” commercials resonated with an entire generation of women. Still, I know in my heart of hearts that true peace is not circumstantial – and you don’t have to sequester yourself to enjoy it. The culprits of my unease this past week could all be tied to ruminating…obsessing…overthinking – and trying to control things (and people) beyond my control. As the captain of my ship, only I could “right” it. It didn’t happen instantaneously. It started with soul-sucking depression. Yes, that is my familiar flaw – falling into the performance trap. Wanting everyone to love me and approve of me. It was like having a spiritual cold. All I wanted to do was stay in bed and eat carbohydrates. And on a week where PEACE should win! The good news is, I am no longer comfortable sustaining soul-ish lows. Formerly my comfort zone, I kicked that way of life to the curb many years ago. I simply refuse to waste this life being anything other than full of enthusiasm and expectancy. So I made a decision, which didn’t miraculously change the way I felt. I followed up on that decision with actions and simply kept doing what I knew to do to jump start my heart and get me back to peace and joy: Exercise. Evicting negative thoughts. Talking to wise and spiritual people. Eating healthy food. Forcing myself to smile. Counting my blessings. Until I felt like me again. No, peace shouldn’t be circumstantial, but unless we can run away to Sorrento and script other peoples’ responses to us, the circumstances sometimes do rob us of that peaceful, easy feeling. But thank God, my new normal isn’t STAYING there. Permission to get our hopes up! Have a beautiful week, everyone – full of EXPECTING good things. 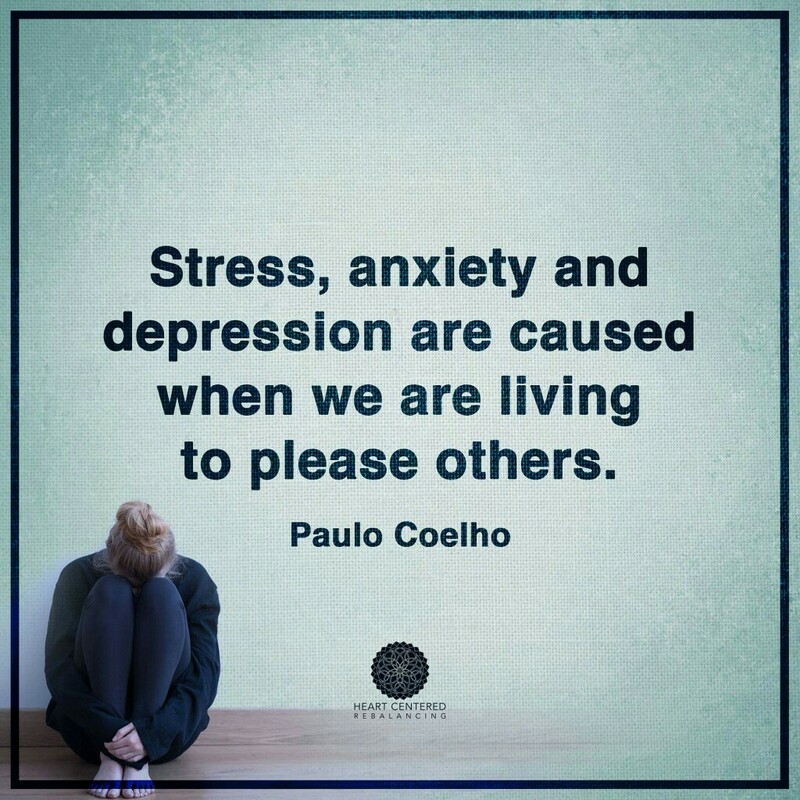 Inflexibility renders me STRESSED, not blessed. Here’s what trips me up: I am an ultra-prepared person. When I deem something important, I mark it on my calendar, plan what to wear, make notes on my goals, leave early to arrive early and show up with my tank full of readiness. Yes, I am a goody-two-shoes in matters of preparedness, and as a result I expect everything to go according to plan. My mantra? If you fail to plan, you plan to fail. Wouldn’t it be great if life followed the script of such simple equations? 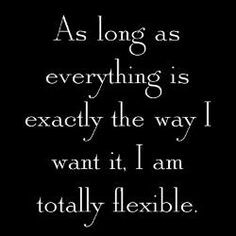 Ah, but then there would be no need for flexibility. One of my 2017 goals is to up my public speaking game, obtain certification and yes, to win a national speaking contest. My course charted, I joined the local Toastmasters group in Sarasota. Desiring to take this part of my life to the next level, by good fortune I met a young man who – through Toastmasters – entered a national speaking competition, subsequently secured a book deal and now speaks for a living. He’s living his dream. They actually count the number of times you say “um” or use throw away words and poor grammar; vocabulary and staying within the prescribed time counts and you are publicly evaluated for each and every spoken way you participate in the meeting. Stressed by such rigors? No way! For people like me, it’s a total rush. Run like a well-oiled machine, these meetings are ULTRA prepared with assignments for the forthcoming week scheduled at meetings’ end. Jumping right into the fray, I signed up for my first mini-speech – a two-minute exhortation to kick off the next Wednesday night. Oh yes – you bet I was prepared. When my message finally crystallized, I wrote it out, timed it, practiced it over and over, refined it, timed it again, made Duane listen to it repeatedly and by the time Wednesday rolled around, I was bursting with the promise of what would be a glorious debut. I departed early to be in my place with a bright shiny face well in advance of my slot in the agenda. On the drive, I practiced my two-minutes. I practiced so much that I missed my turn. And ended up 10 minutes out of my way, resulting in an unforeseen detour. Which planted me directly in the middle of the aftermath of a horrendous traffic accident. I would definitely be late. Despair had a field day, too. Sadness, too. It took much of the stalled time in traffic to finally get to acceptance. This was beyond my control. If I missed my turn to speak and my hard work been for naught…it would not be the end of the world. 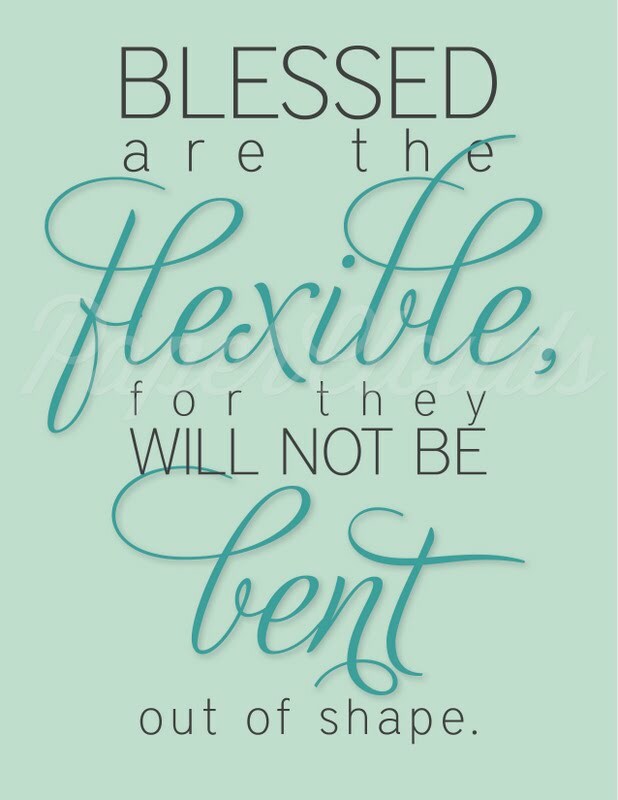 Blessed are the flexible, for they shall bend and not break. Yes, I arrived, and just in time for my spot on the agenda! Had I stayed stressed and freaked out, I’d would have been too flustered to stand and deliver my speech. Is the answer no? Let it go. Relinquish the white-knuckled grip on that thing trying to steal your joy! Have a blessed (not stressed) week, my friends. Don’t you love when friends turn into sisters and brothers? 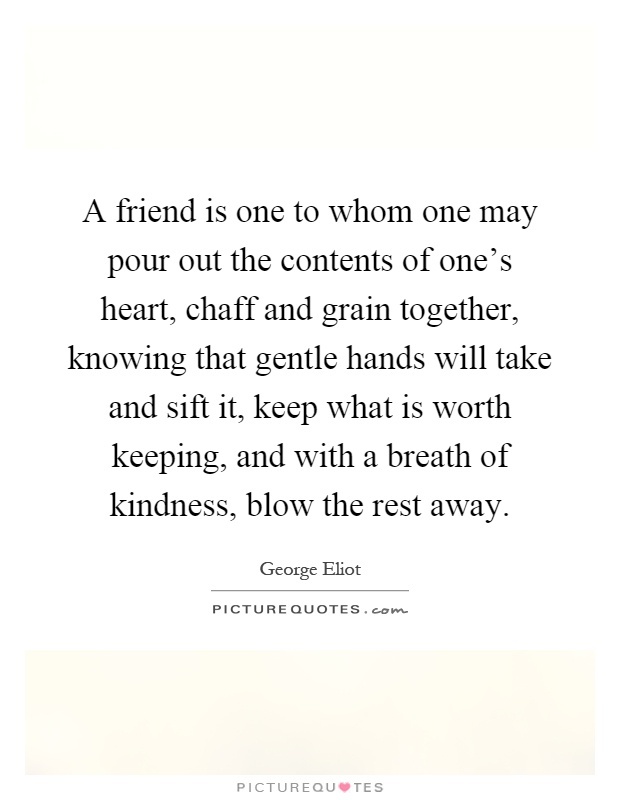 This week I was reminded of how my circle of friends has widened since moving to Sarasota. My first six months were spent in tears of loneliness. Would I ever find my tribe? Thank GOD for my main posse, who were my anchors during those stormy (and lonely) months. Renee the kind comforter; Anita the soulful listener; Cynthia the sassy sophisticate. They never failed to “show up” for me. Because they are so GOOD at being sister friends, I made the mistake of comparing everyone new that I met to them. Who could measure up? Then there’s my sister sister, Shirlee, who is an earth angel. I won the sister lottery when I was born, and she’s a gift that keeps on giving me tidings of comfort and joy. There are the friends you hardly see at ALL (unfortunately)…but they are THERE. If I needed Cindy or Roseann, Judy, Linda, Hilary or Antoinette, at a moment’s notice they’d drop everything on a dime to lend their wisdom or kindness without judgment. I’ve got two Kim’s – my cousin as well as a long-lost friend from ages ago who came back into my life this year. You couldn’t find two bigger hearts so full of love. There’s all of you out there that I’ve never met, but you have become my sisters. Suzan Alexander, can you feel the love? That really is what our sisters and brothers of the heart do for us. They make us feel at home in this world. We go back with them…and we go forward. I say all of this with a heart full of gratitude and love along with a little fear and trepidation that I have certainly left someone out who should be named. If you were omitted, part of the reason I love you is because you are so wonderfully forgiving. I count on that breath of kindness from my sisters and brothers. No matter how much is in your bank account as you read this, if you have at least one sibling of the heart, you (and I) are rich. Now for the new Word of the Week! Hmmmmmm! I’ll admit to a teeny buzz-kill when I pulled the word OBEDIENCE. However, if history continues to repeat itself, I’ll find some nuggets in the week ahead for which I’ll end up being grateful. Who are your sisters and brothers of the heart? And how have they impacted your life? Just as I had settled into a nice, easy take on WILLINGNESS (i.e., bad hair days and dancing in the rain) I came face to face with a far more weighty situation that I was NOT initially WILLING to face. What were the telltale signs? Hurt. Anger. Justification. Torment. Despair. Depression. My entire arsenal of defense mechanisms kicked in…but in that space there is no resolve. In fact, for some of life’s hardest junctures, there simply is no resolve. You can’t change the past. But there is always a choice here in the present. Will I choose love or fear? And if someone hurt me (or I hurt them) – am I WILLING to forgive us both? Life can be a running string of regrets and offenses when fear and unforgiveness win. And when the past comes back to haunt you with your failures, take comfort in Maya Angelou’s words: When you know better you do better. Every hard fought lesson learned is a building block. Yes, Brenda 2.0 fell short. But that was 15 versions ago. And I am NOT willing to hold myself hostage an obsolete version of me. And I hope you won’t, either. Which is quite a preamble to this week’s WOW. When I recorded this, I was a bit at a loss…but now I see – all the pieces of life work together as a tapestry. If you look closely, you’ll see ugly bits of fabric and lovely ones, too. Focusing on just the one or the other causes you to miss the full picture, which is a combination of it all. We all have failures and regrets in this life. But what did you do with them? Did you change and grow and evolve and learn? Do you know better and then do better? 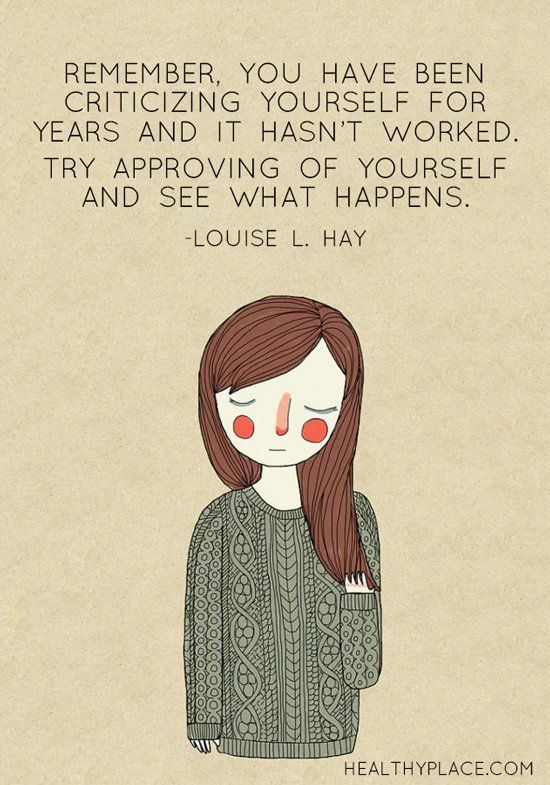 Then stop obsessing over that ugly bit of fabric. It’s just one piece of you. Yes, it may be the only thing that others see, but that is their choice. You can choose to see through the lens of love and forgiveness. And when you do, you can see how all the little pieces have come together – and continue to come together – to make you who you are today. What does SYNTHESIS mean to you?